Richard, a recent Orphek Atlantik customer has sent us pictures of his new Atlantik install. He has only had them up for one week and already he is impressed with them. The client has a 120 gallon reef tank and only required two Atlantiks to do the job. I got tired of replacing Metal Halide bulbs, which I actually had a few break and/or burn out prematurely. Research on the web led me to you. I liked what I saw and how it was being used by other larger tanks. So far so good. Get back to me in 3 months and then perhaps a year or two later so I have a more complete story to tell. What is your feeling on the intensity of the lighting. Again seems real good, but a bit too early to tell. I have had the lights one week now and have them on the “Acclimate” setting. 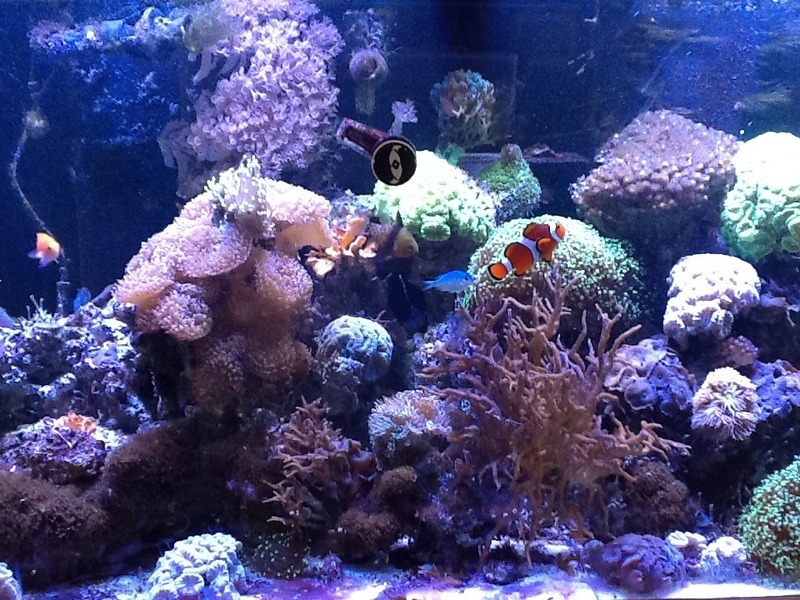 Plan on bumping it up to coral growth and color to really take full advantage of the intensity. If applicable what is the name of your store and its location? 11. Please send us pictures of your store front and interior as well as corals under Orphek LED Lighting. 11.Would you recommend Orphek to others?